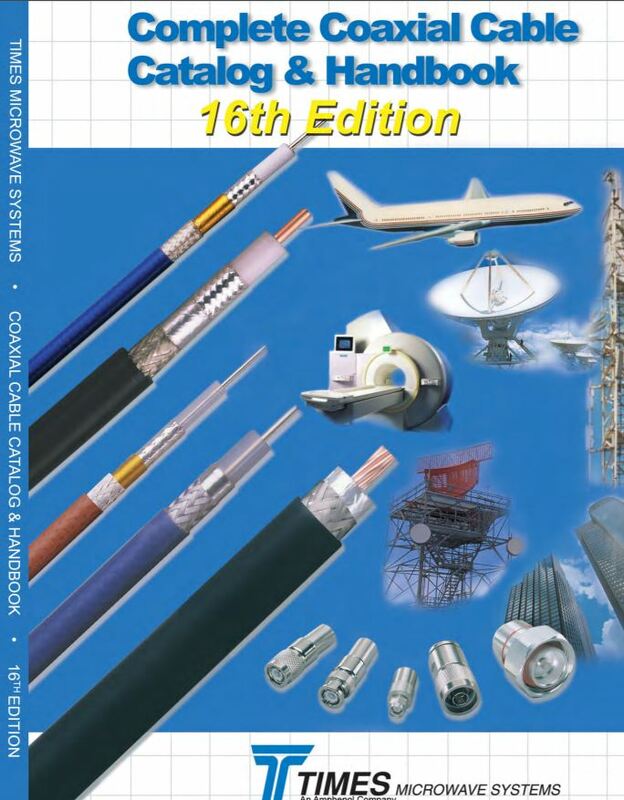 Coaxial Cable Assemblies Products & Capabilities. 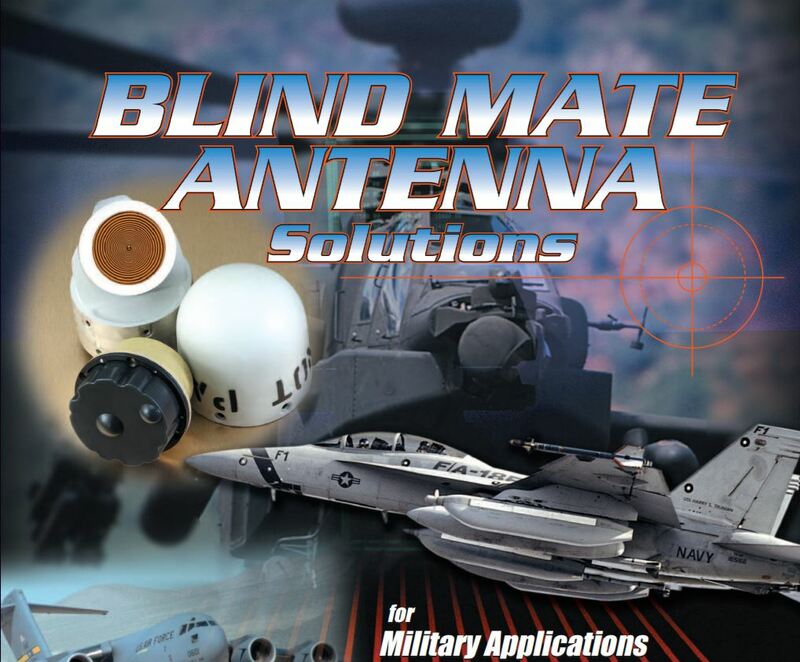 The Blind Mate Antenna, enables to convert almost all existing platform Avionic and Electronic Warfare Antennas into Blind Mate "plug-in and forget" quick release antennas, which can be quickly installed and removed from platforms without having to connect or disconnect the coaxial cable. 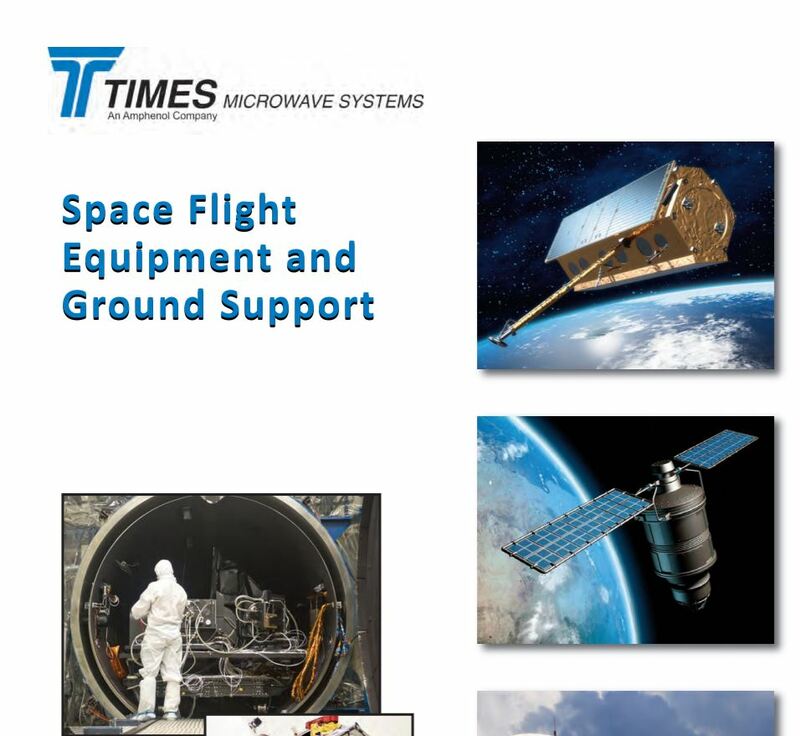 TIMES integrated LNA package to allow the location of a low-noise amplifier (LNA) at the antenna, ahead of the cable assembly, in high-performance aircraft. 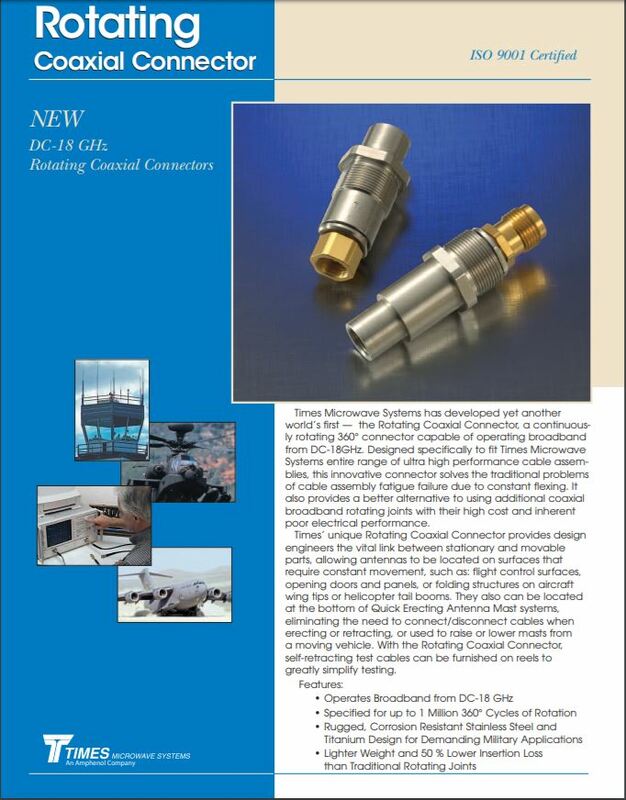 DC-18 GHz Rotating Coaxial Connectors, Designed specifically to fit Times Microwave Systems entire range of ultra high performance cable assemblies. 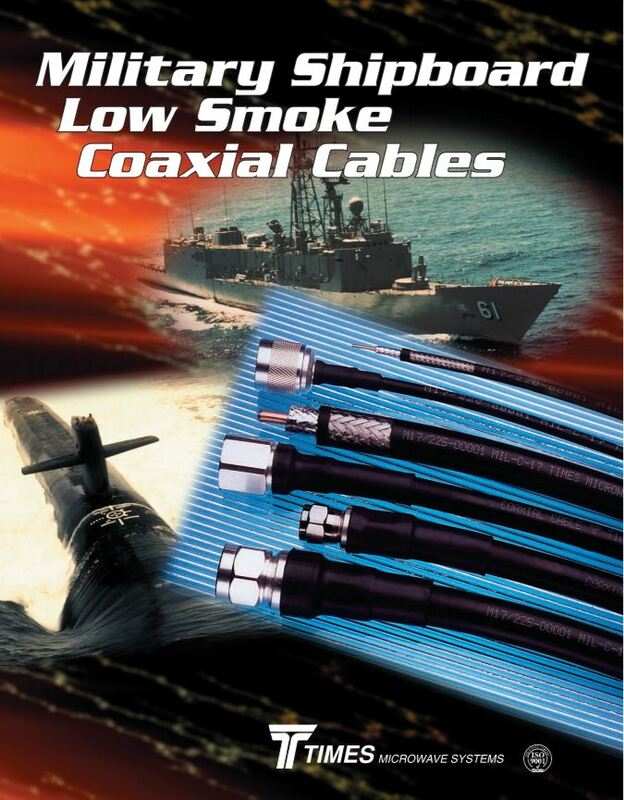 Military Shipboard Low Smoke Coaxial Cables. 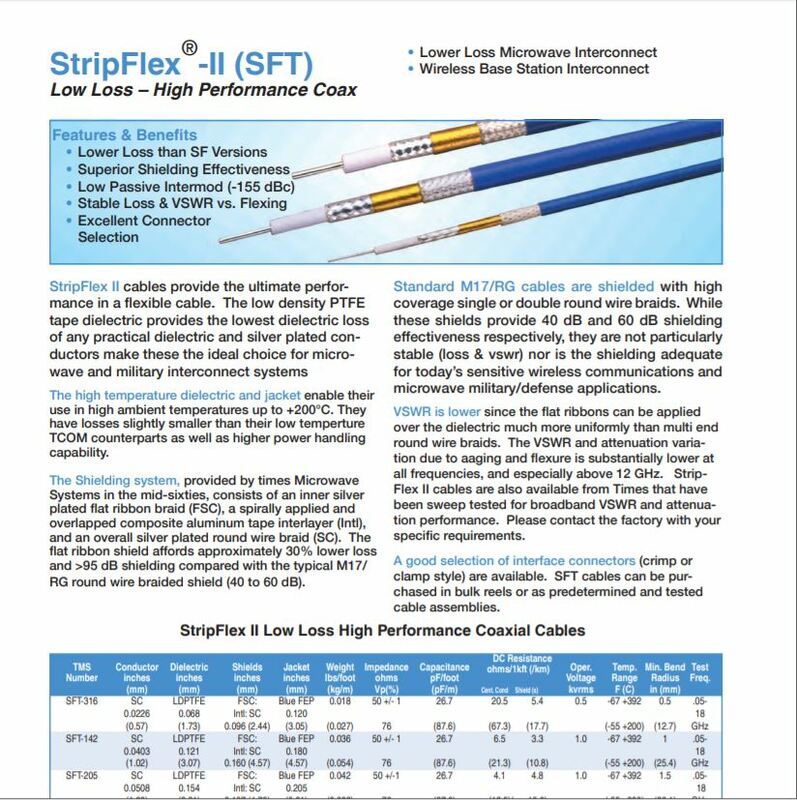 offering excellent shielding and phase stability with low VSWR and insertion loss up to 20 GHz. 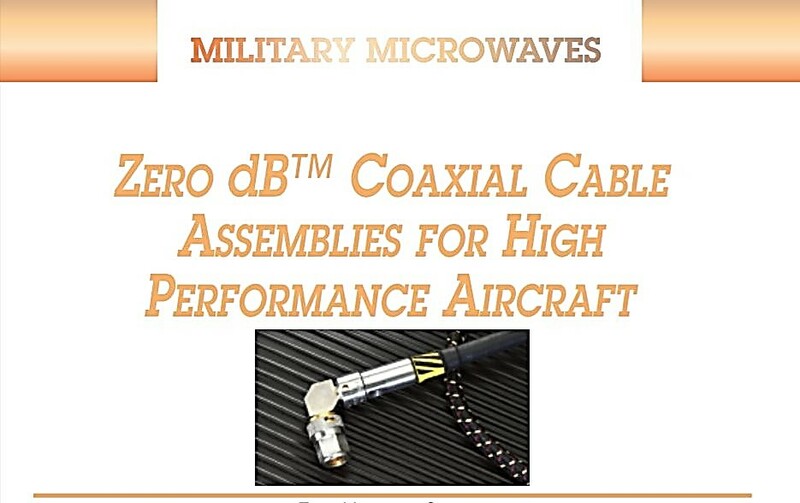 Provide excellent performance over the DC-18 GHz frequency range. 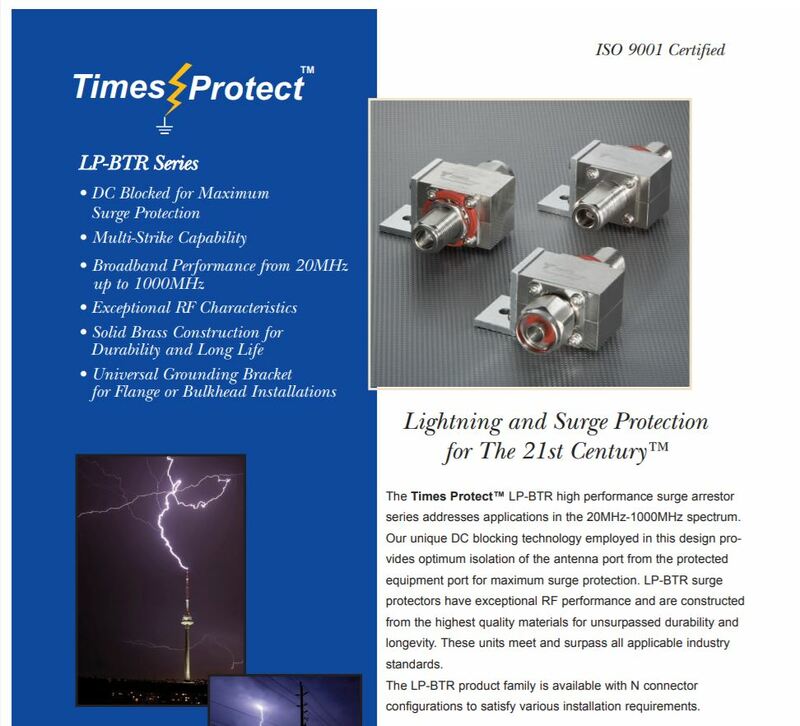 designed for applications demanding minimal phase change over temperature. 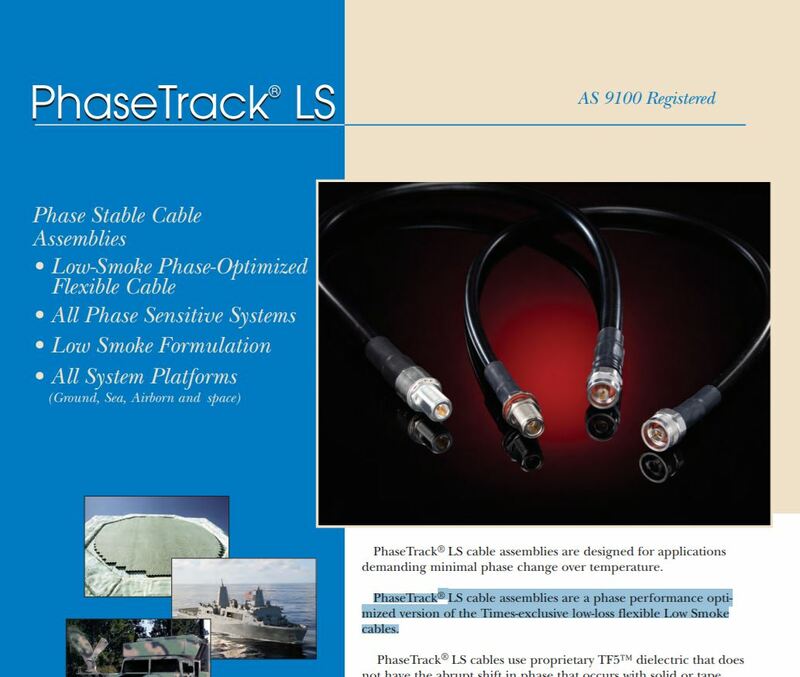 phase performance optimized version of the Times-exclusive low-loss flexible Low Smoke cables. 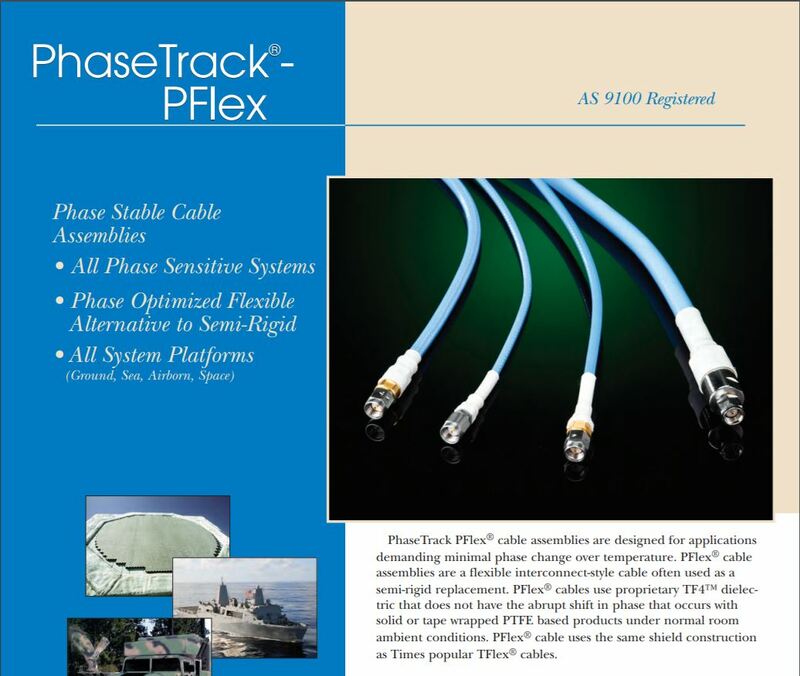 flexible interconnect-style cable often used as a semi-rigid replacement. 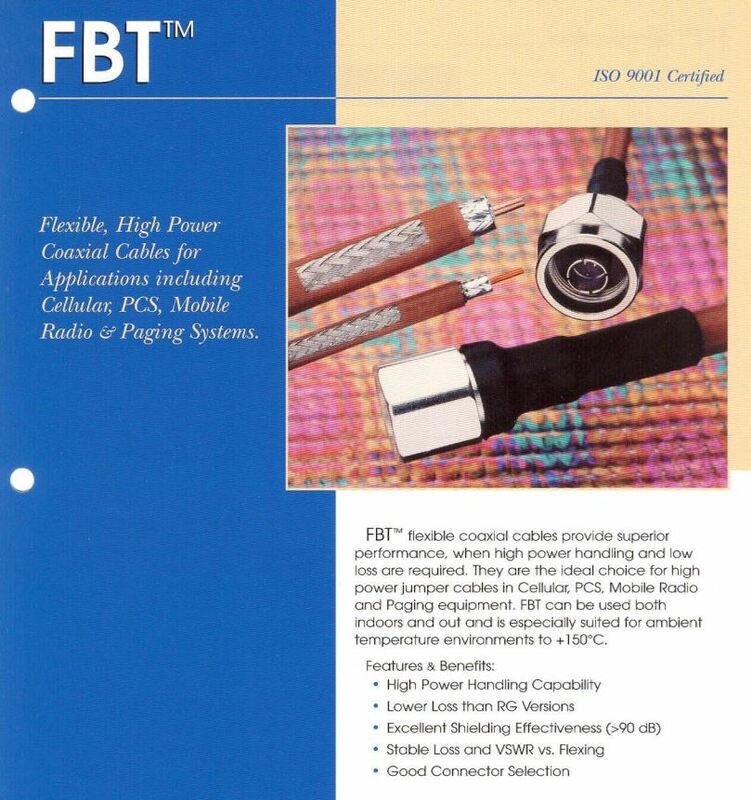 for general applications in both field and laboratory conditions. 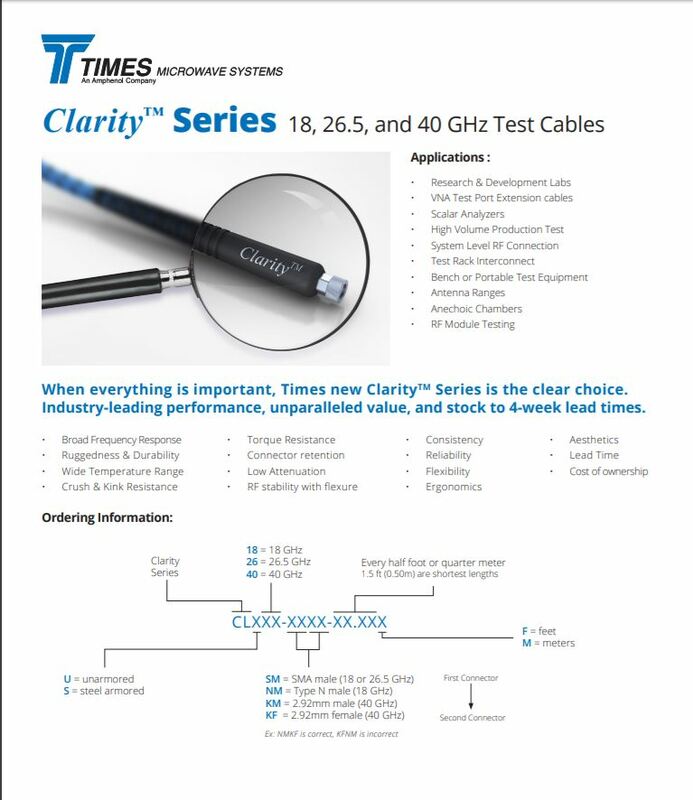 They are ideally suited for applications where lowest loss and good stability over flexure is required. 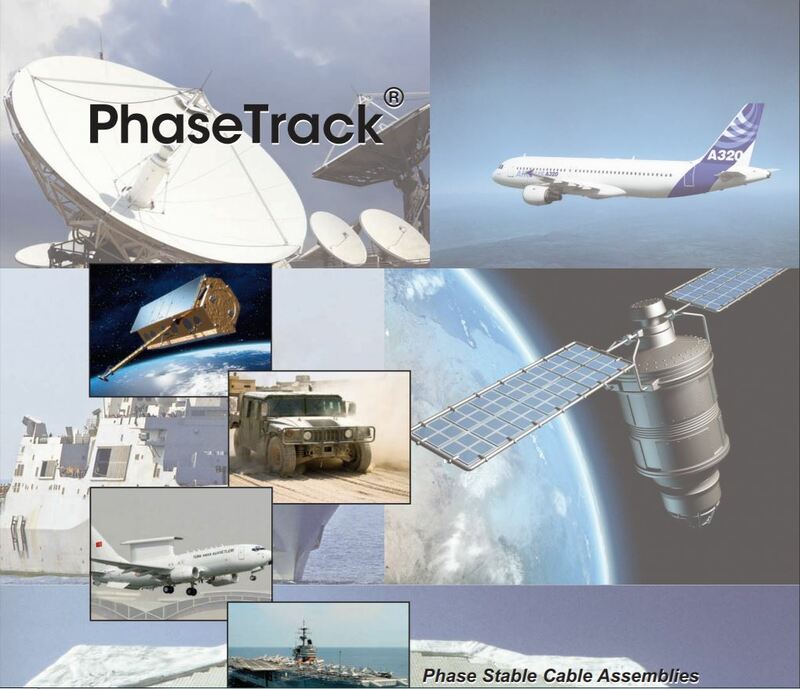 Critical Requirements for Space Flight and Thermal Vacuum Test Cable Assemblies. 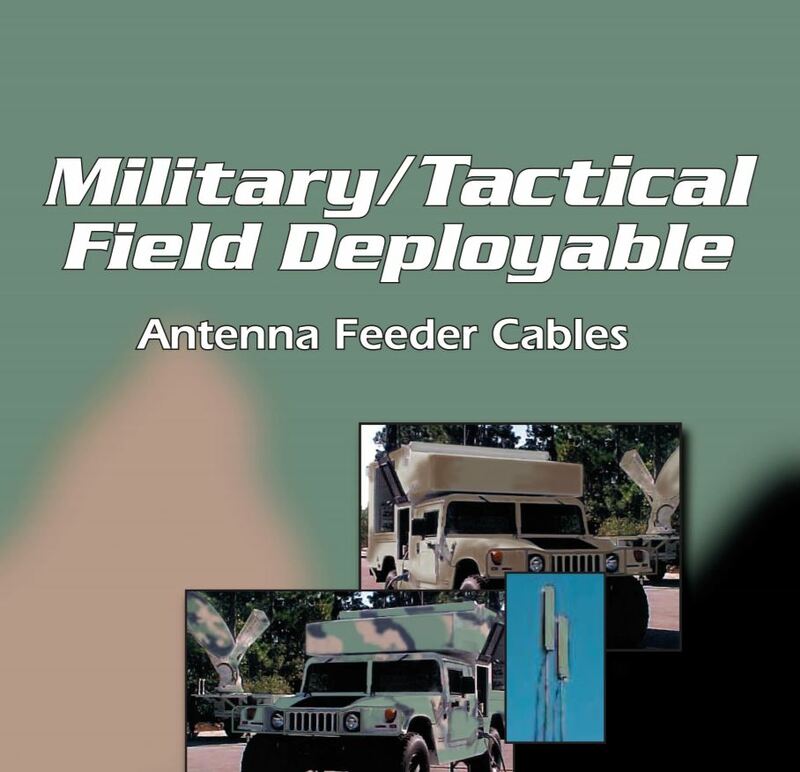 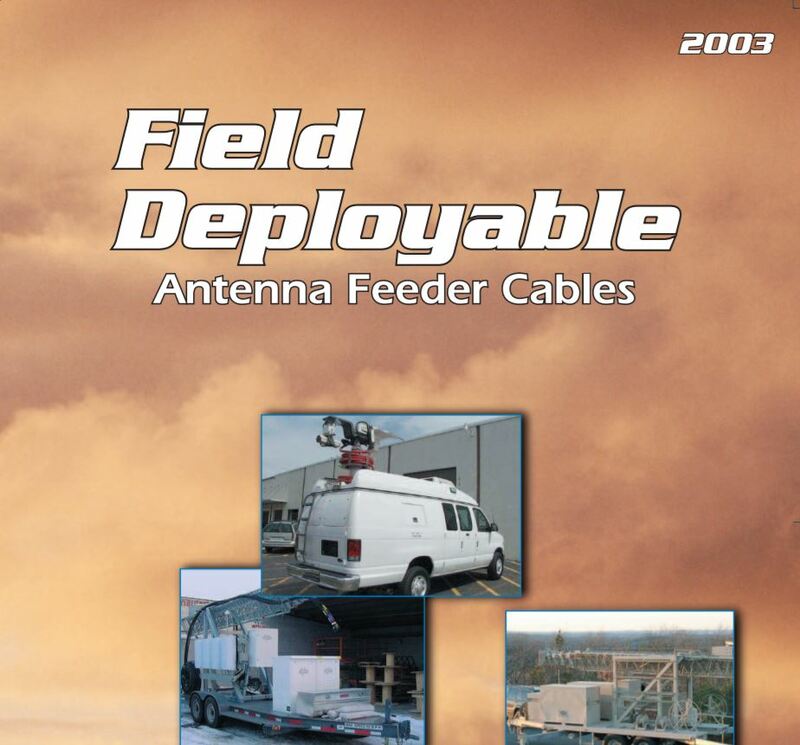 The ultimate cable design for field deployable applications is the QEAM (Quick Erecting Antenna Mast) cable. 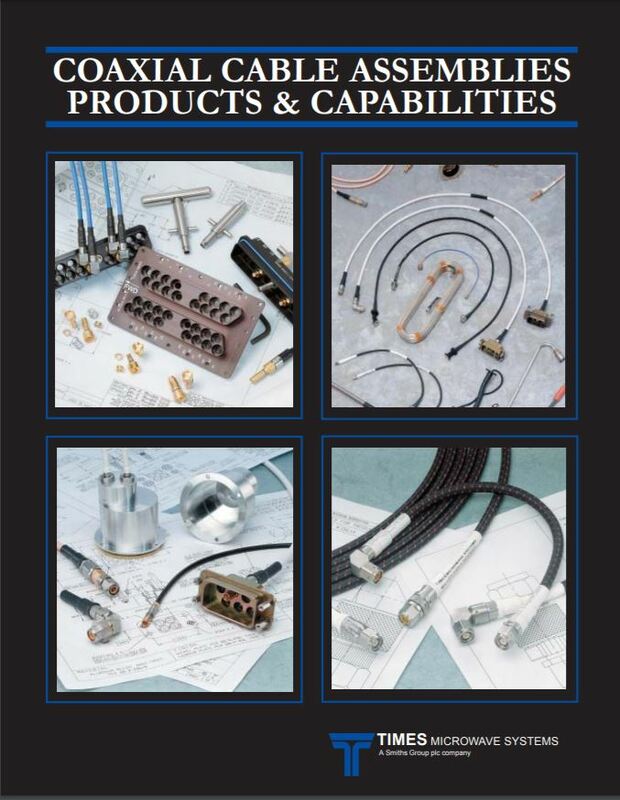 This cable series is designed specifically for use in demanding, mission critical applications, where reeling and unreeling are required over a wide temperature range. 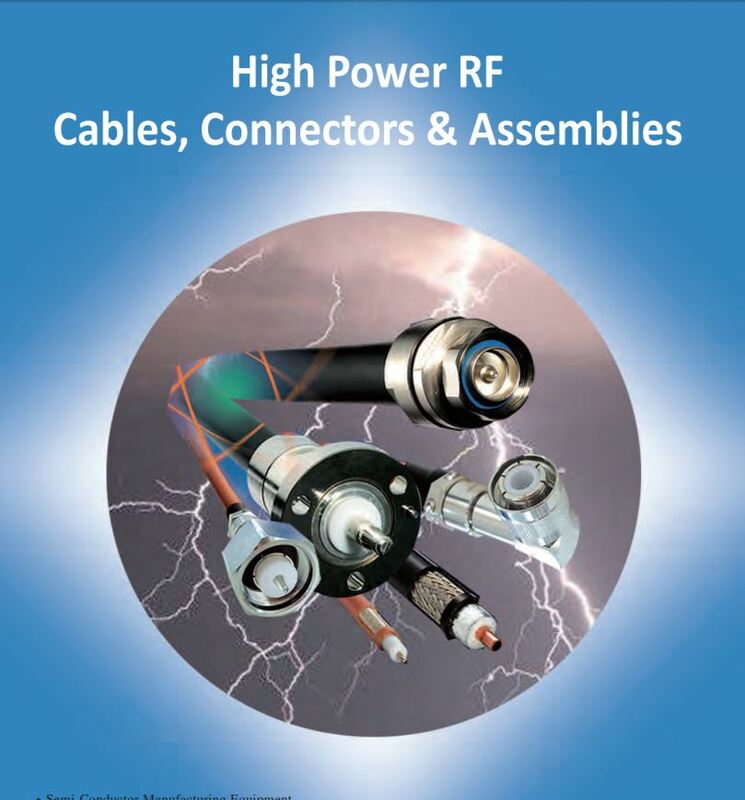 Times offers a broad range of cables, connectors and assemblies for high power RF transmission. 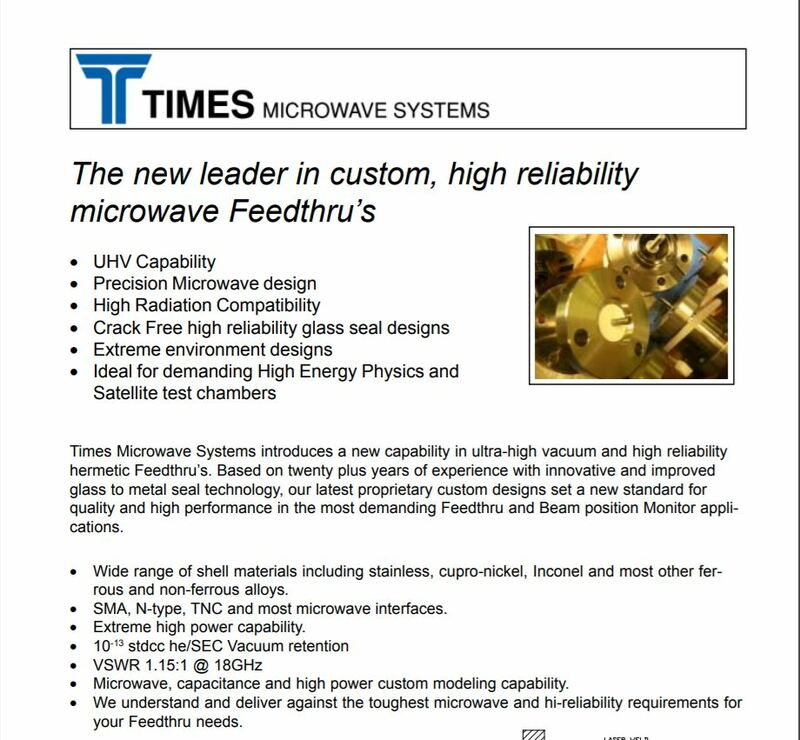 Times Microwave Systems introduces a new capability in ultra-high vacuum and high reliability hermetic Feedthru’s. 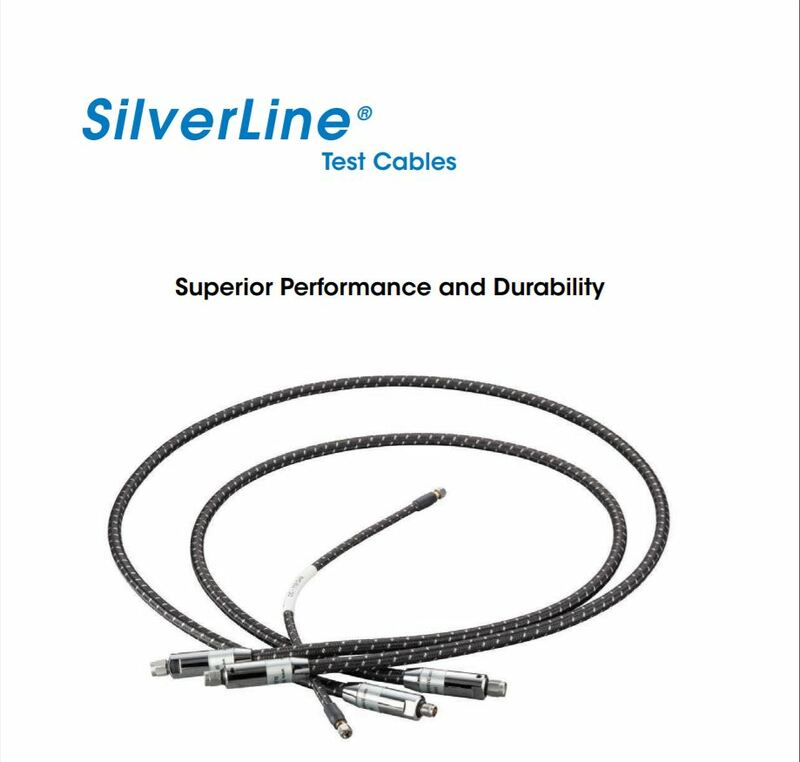 SilverLine Test Cables are cost effective, durable, high-performance cable assemblies designed for use in a broad range of test and interconnect applications. 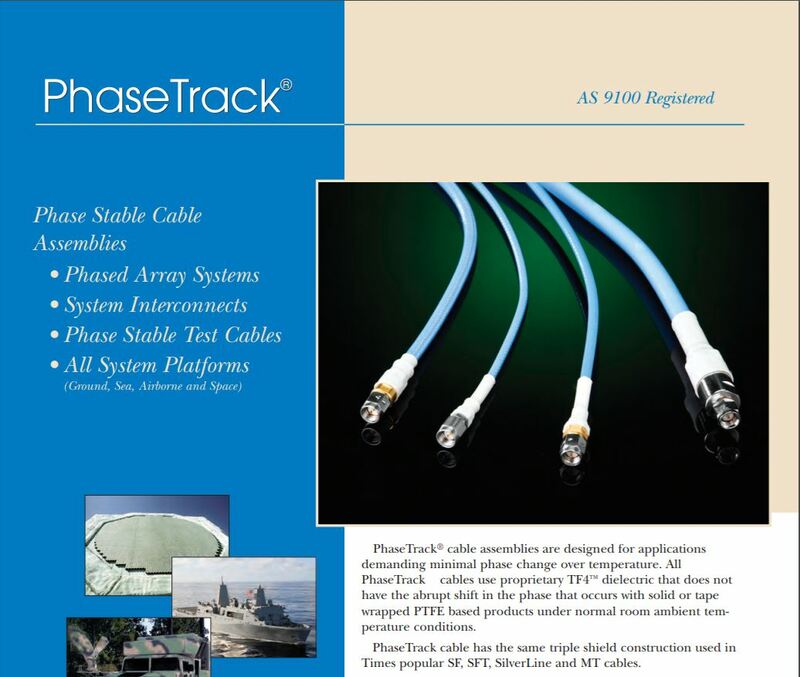 PhaseTrack® SR cable assemblies are designed for applications demanding minimal phase change over temperature. 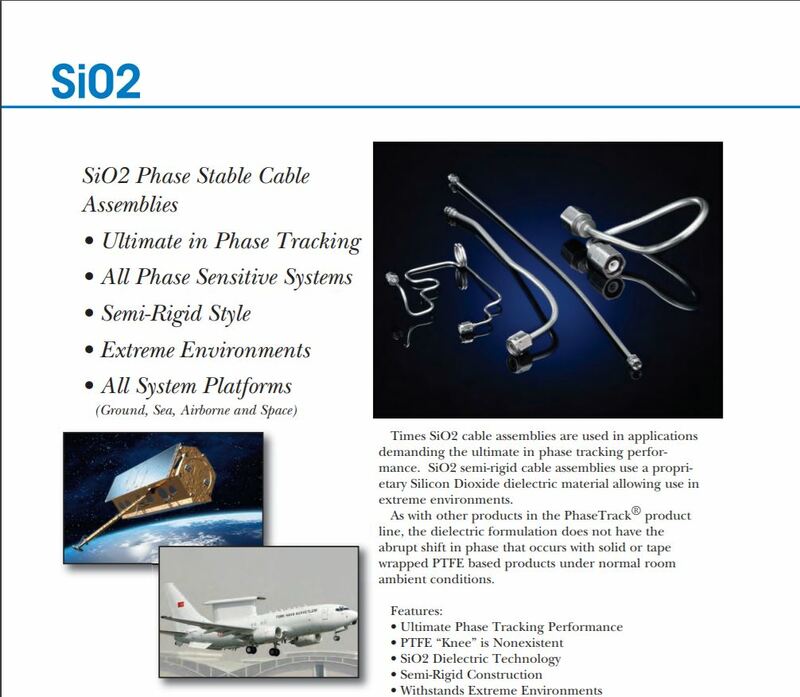 SiO2 semi-rigid cable assemblies use a proprietary Silicon Dioxide dielectric material allowing use in extreme environments. 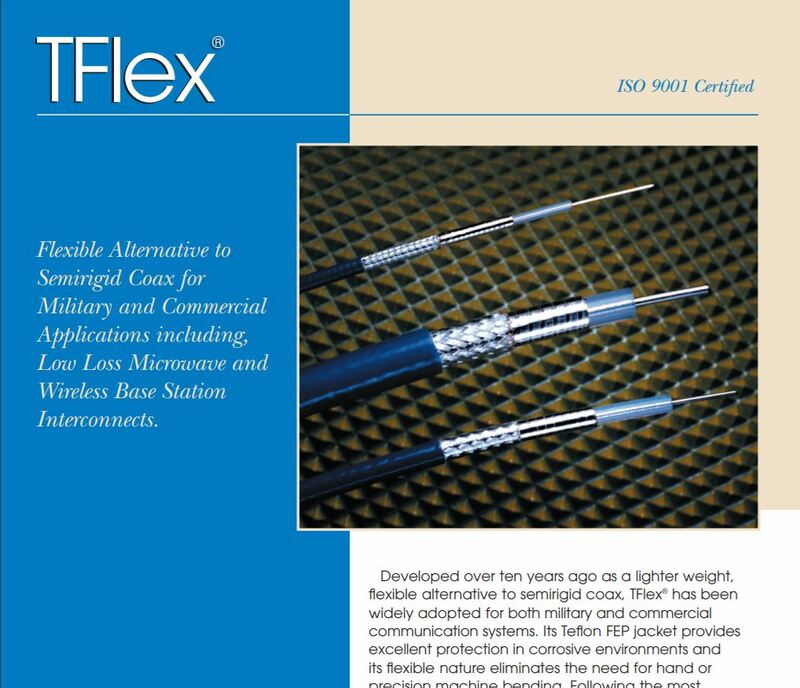 Flexible Alternative to Semirigid Coax for Military and Commercial Applications including, Low Loss Microwave and Wireless Base Station interconnects. 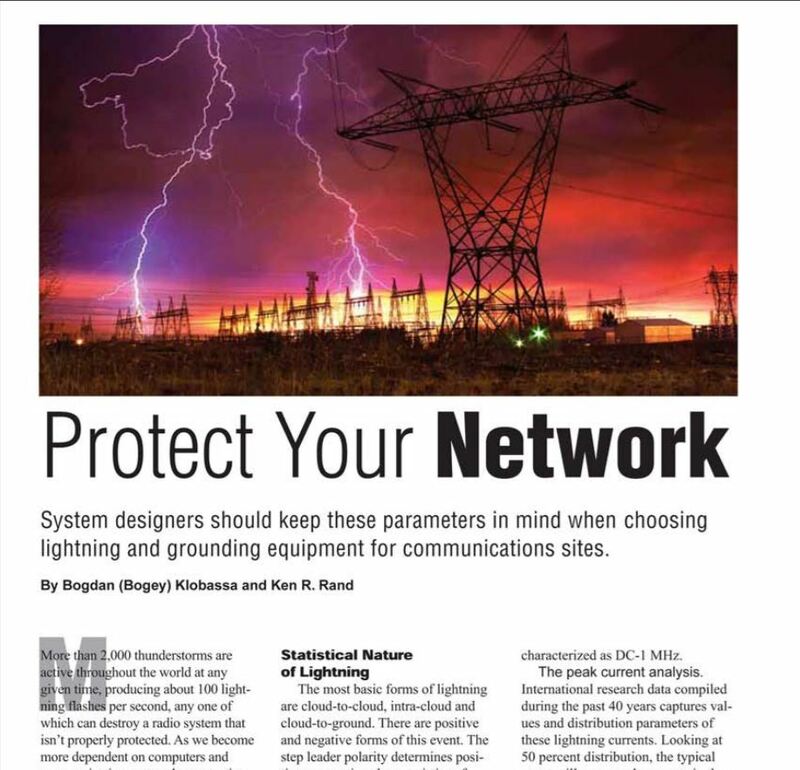 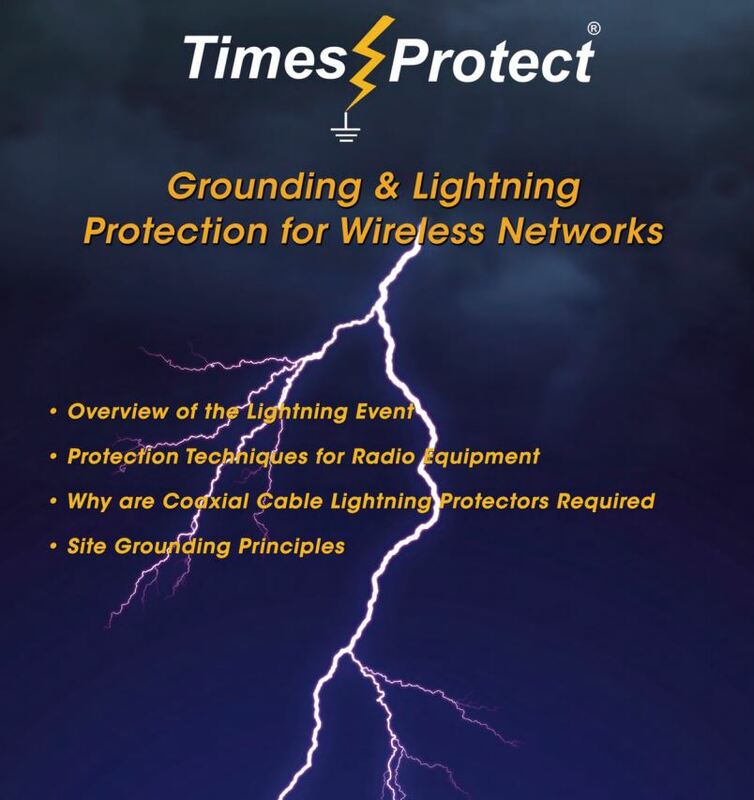 Grounding & Lightning Protection For Wireless Networks. 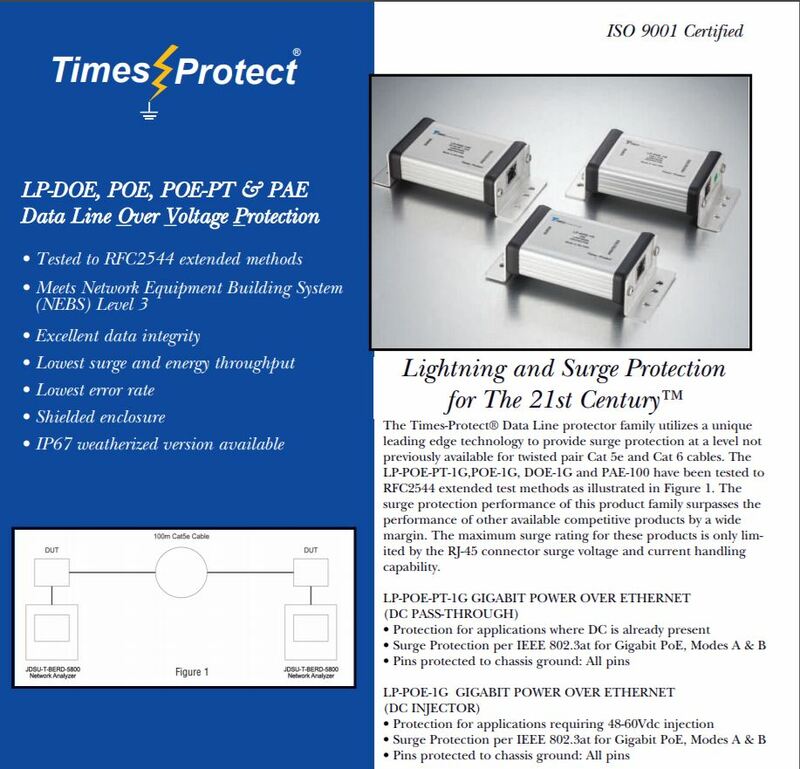 LP-DOE, POE, POE-PT & PAE Data Line Over Voltage Protection. 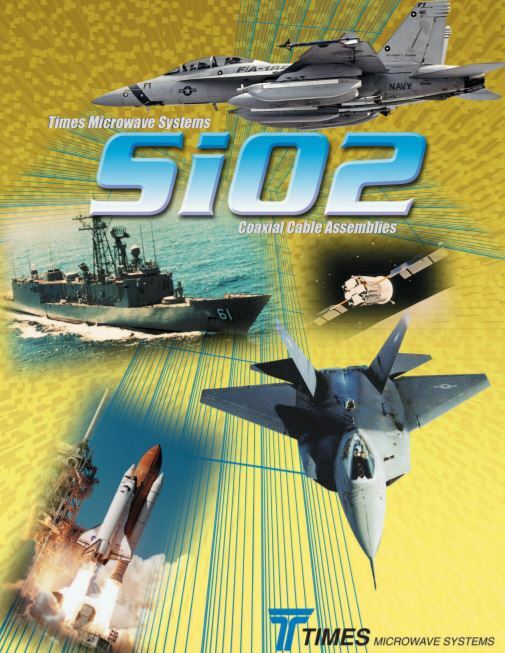 TECHNICAL ARTICLES & USEFUL TOOLS. 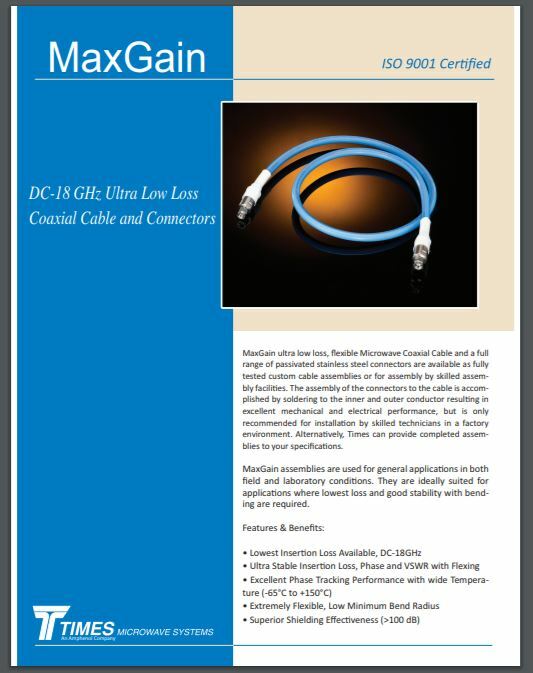 High Performance Coaxial Cables M17 Select Cables, LSSB, LLSB®, StripFlex® , StripFlex® II, TCOM®, TFlex®, Coppersol, Coppersol Low Loss. 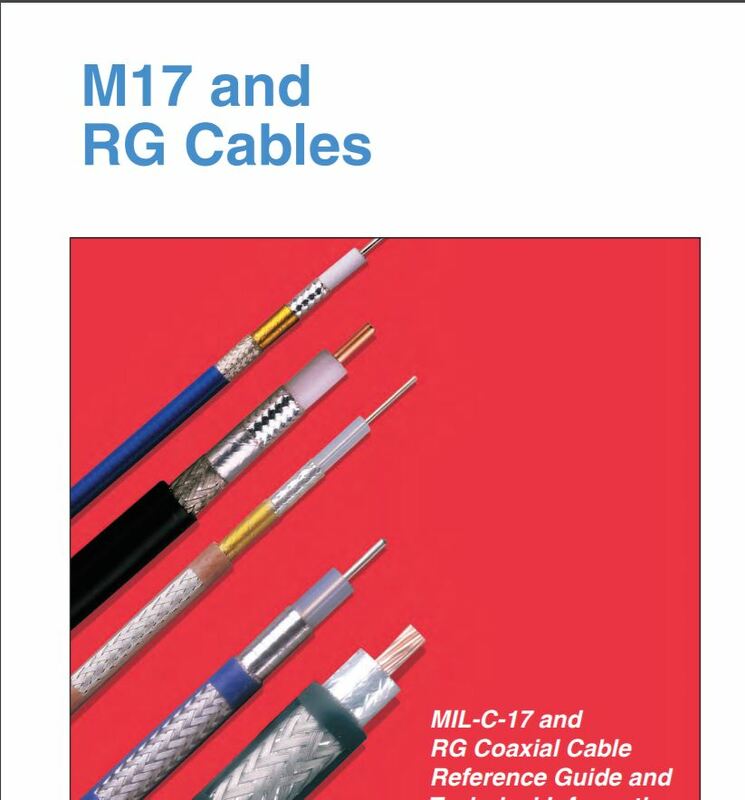 MIL-C-17 is the government specification document used to standardize coaxial cables. 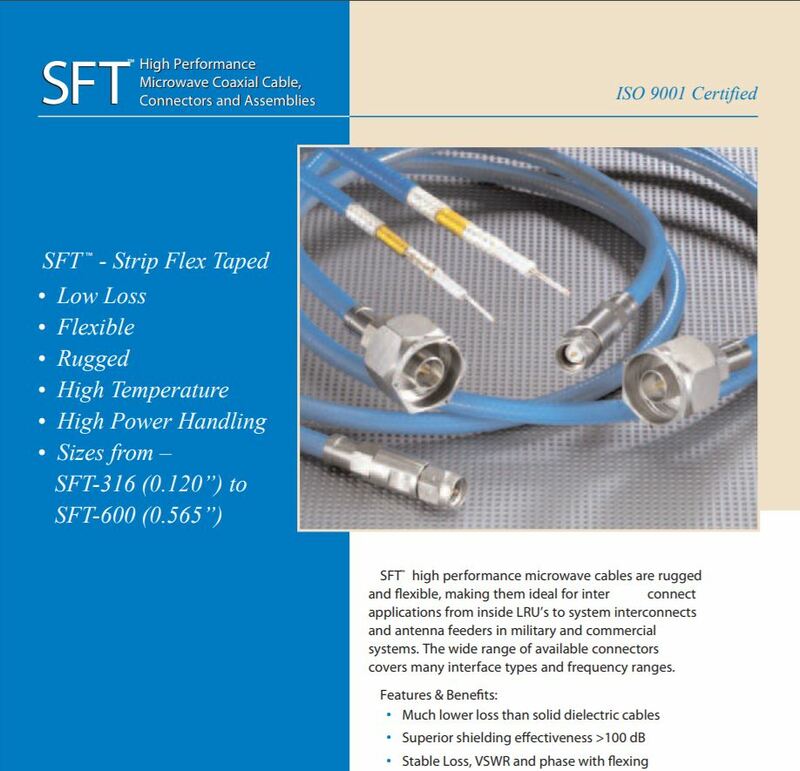 High performance broadband, flexible, low loss 50 Ohm coaxial communication cables designed for use in wireless applications. 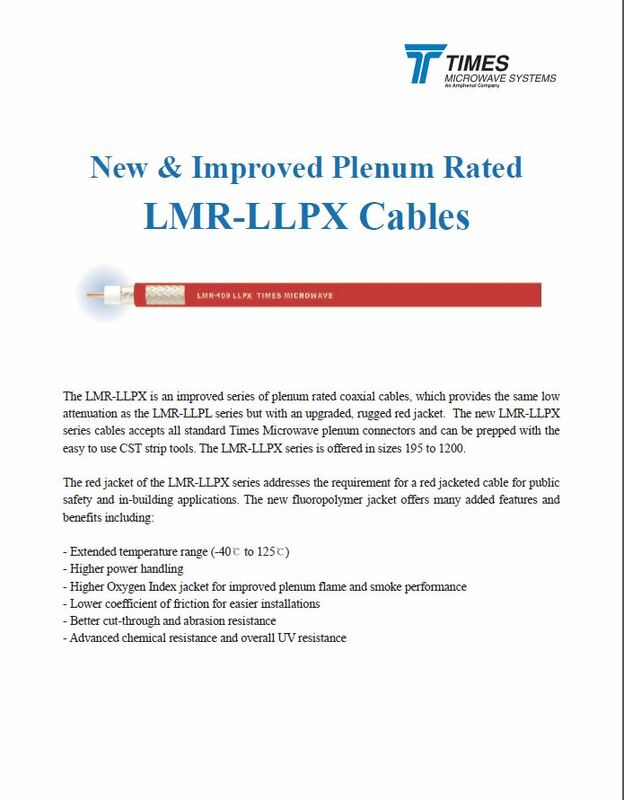 The LMR-LLPX is an improved series of plenum rated coaxial cables, which provides the same low attenuation as the LMR-LLPL series but with an upgraded, rugged red jacket. 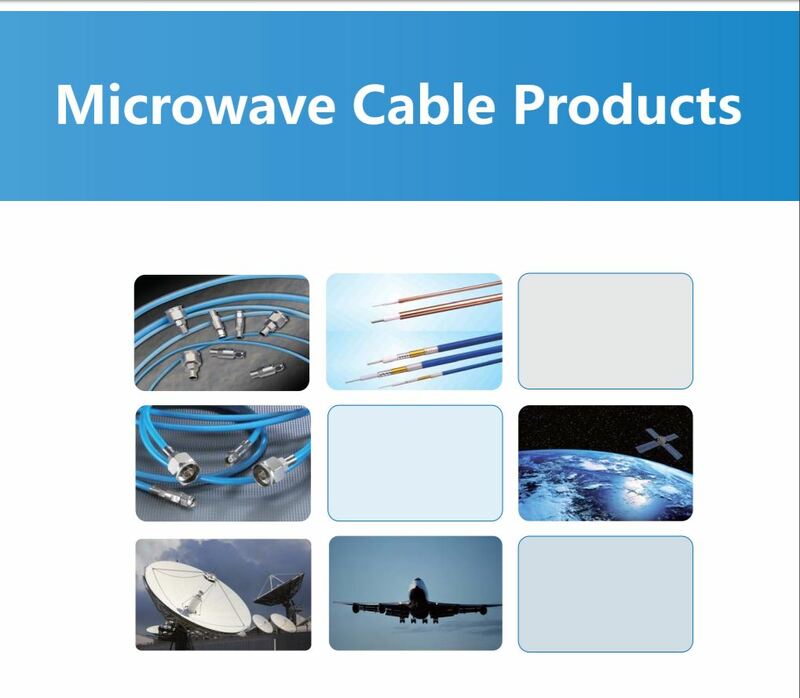 Times Microwave low loss M17 cables. 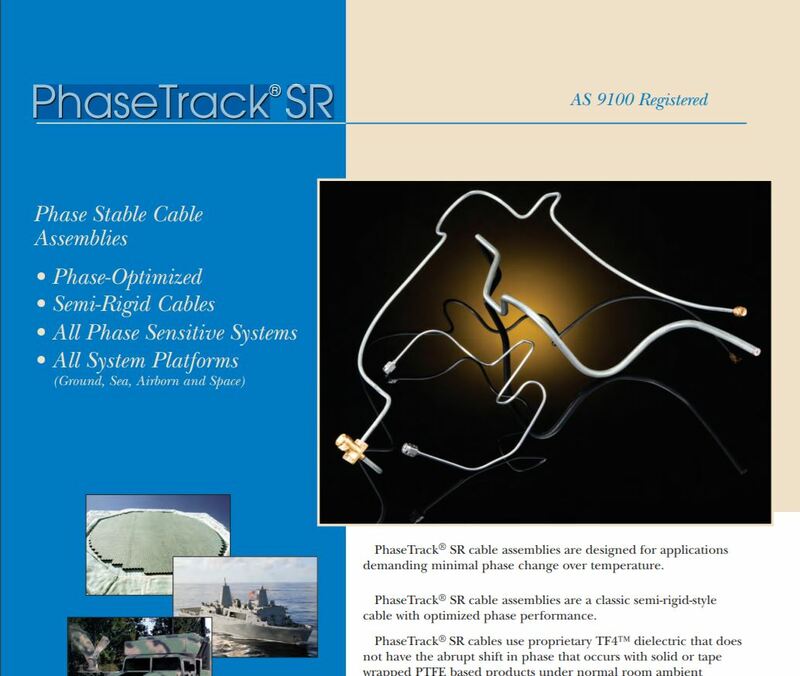 TRAD™ and NuTrac™ radiating cables to provide RF coverage in structures which are otherwise difficult to cover.